Wrist prepped for transradial artery catheterization for PCI. One study of more than 250 patients demonstrated that forearm access is safer than using the femoral vessels.2 However, the United States has lagged behind Europe, Asia, and other developed regions in the adoption of TRA procedures.1 China uses the technique about 80 percent of the time, and the European Society of Cardiology has recently recommended a “radial first” approach.1 According to Ian Gilchrist, M.D., professor of medicine, Penn State Hershey Heart and Vascular Institute, the United States currently averages a 30 percent rate of TRA coronary intervention procedures per year. In addition to their broad adoption of TRA, practitioners at the Heart and Vascular Institute participate in ongoing research, and have just completed the “Study of Access Site for Enhancement of PCI for Women (SAFE-PCI for Women)” trial. Preliminary data already shows improved outcomes and far fewer bleeding complications with TRA than with the transfemoral approach. 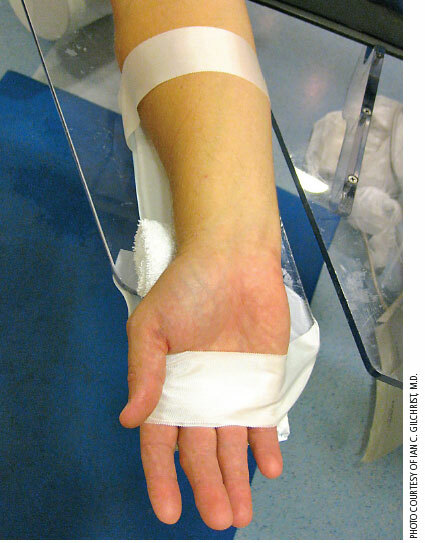 1. citoday.com/2014/06/transradial-artery-catheterization-in-the-united-states/. Accessed August 5, 2014. 2. ncbi.nlm.nih.gov/pubmed/16532498. Accessed August 5, 2014.